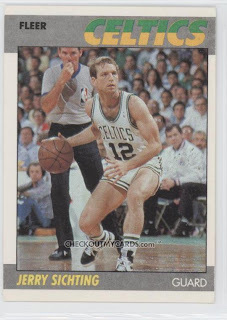 Jerry Sichting, former member of the Boston Celtics and current assistant coach of the Minnesota Timberwolves, was on the Sports Vortex this morning talking NBA Finals, Celtics/Lakers history, and Minnesota Timberwolves draft. Check it out, it is in the widget at the top of the page that says "Sports Vortex" (just click play) or you can check out the link here if the widget doesn't load for you. Regardless, enjoy!